I read an interesting book this week, titled Which of us are Aryans? It has a series of essays by experts who analyse recent material from the fields of genetics, linguistics and archaeology to determine our origins. Till the 1920s, Indians did not know about the existence of the Indus Valley Civilisation, which was discovered in places like Harappa (Pakistani Punjab), Mohenjo-daro in Sindh and then elsewhere in India. In fact, even the British officers who first examined the remains at Harappa did not fully understand what they were and many of the first-rate bricks that were found there were used to build the railways. That has been true of both times that I have visited. The place has been beautiful, but deserted. A village right next to it is populated by Punjabis who would have lived there for generations without any interest in the ancient ruins. Just like Ajanta and Ellora, which were ‘discovered’ by a British officer in 1819 but which had villagers living next to them without wonderment or curiosity for two thousand years. However, now it has been conclusively proven that the Indus Valley Civilisation was not Vedic, and came before the Rig Veda. A sample recovered in 2015 from a Haryana village named Rakhigarhi, which is from a male human who lived 4,500 years ago, shows that he had no part of the same gene as the Aryans (which is known as R1A, and is common to people in northern and eastern Europe, Central Asia and South Asia). It has taken this long to determine this because DNA is not preserved well in our hot and wet climate. The Rakhigarhi finding shows that the Harappan culture and the Indus Valley Civilisation were not the source of the Sanskrit language. The Vedic people were pastoralists, moving around with their cattle (the word 'Aryavarta' means the ‘turning of the Arya’, in a reference to a large herd being moved around). 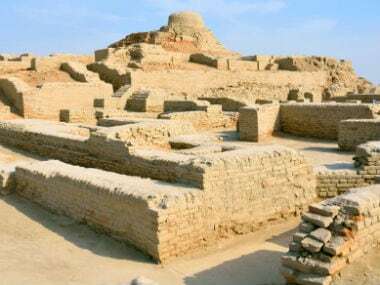 Whereas the Indus Valley Civilisation, including Lothal and Babar Kot in Gujarat, Rakhigarhi and the places today in Pakistan, was urban and built around planned cities, which also had drainage and sanitation. The theory of the Aryan ‘invasion’ has also been discredited. The Vedic pastoralists, whom we refer to as Aryans, were present in places as far west as Syria. They did not recognise the borders as we do today. 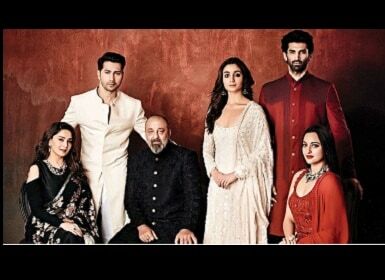 They had engagement with the Harappan and Indus Valley people and interbred with them. As the name suggests, the Indus Valley Civilisation was primarily along the plains of the Indus river. The Vedic pastoralists coming from the West moved onwards and populated the Gangetic plains. The caste system as we today know and practise is an invention and tradition of the Vedic pastoralists, not the Indus Valley. The genetic findings from Rakhigarhi and elsewhere show that all South Asians — Hindus, Muslims, Christians, Sikhs, Indians, Pakistanis, Bangladeshis — have common ancestry that goes back to the Harappan and Indus Valley period (before the arrival of R1A). We also carry the genetic markers of the first humans who came out of Africa, and many of us also have R1A, particularly north Indians. The gods of our first ancestors who lived along the Sindhu river were different from the gods of those who came and mixed with them. Even the Vedic pastoralists, whom we call Aryans, worshipped different gods than the ones popular in India today. There are not many Indians who pray to Indra or Varuna. Today, we worship newer gods from the Puranas (written after the Vedic period), like Ram and Krishna and Ganesh and Lakshmi. The American journalist HL Mencken once observed that no god survives and made a list of all the great ancient gods of Greece and Rome and Egypt, who are today no more. India is a strange place. On the one hand, we have the most advanced science working on our origins and our ancestry. On the other, we are at war with ourselves over a temple to a god whom our first ancestors knew nothing of.